The JV took to the field tonight against the charter school, Westlake Academy and came away with the shutout win improving to 6-5-3 on the season. Tatiana Rosario got the Lady Vikings on board in the 22nd minute and Rachel Emrich iced the game with 4 to play in regulation. Avery Boley held the Lady Blacksmiths scoreless and earned the shutout. This marks the 6th game this season where the JV have matched up against a varsity team holding a 2-2-2 overall record against those squads. "It doesn't matter what team you play on here at Nolan Catholic, we will have one of the most competitive schedules in the country, " said LVS varsity head coach, Jay Fitzgerald. 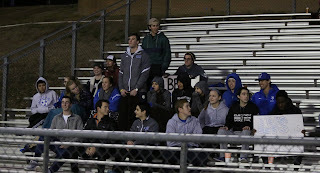 The challenge is what the Lady Vikings Soccer looks forward to whether it is at training, games, tournaments, or friendlies. Next up for the JV team is TCA on the road on Monday. 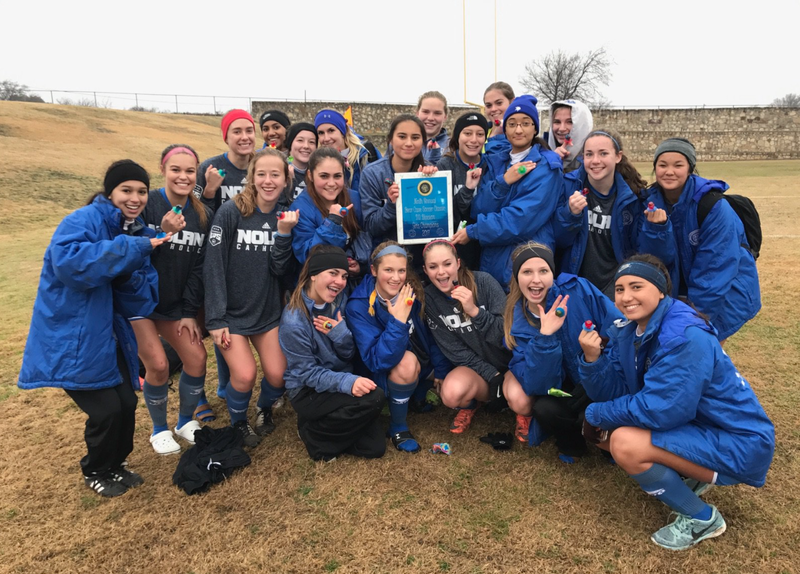 In a match where the Lady Vikings were shorthanded with 6 players out due to illness, Nolan Catholic had no excuses in their 4-1 district win over Liberty Christian. Megan Bettinger is back in the lineup after a week of the flu and scored the games first goal after a relentless effort from Emily Keoughan to get her the ball down the endline for an early Lady Vikings lead. The Lady Vikings doubled their lead just 11 minutes into the match off a Katee Kimmey goal from Bettinger. The goal of the evening came just at the end of the first half of play where Keoughan was fouled around the top of the 18 and before you know it, Bettinger took a Kate Kleiser pass and pasted it off the far post for a 3-0 lead just before going into halftime. "Now, that is awareness. Kate isn't just a genius off the field and what a finish from Megan," LVS head coach commented. More creative play came from the Lady Vikings just into the second half when Katee Kimmey and Selena Guzman combined to get Kleiser a ball behind the line for the 4th goal of the evening. Sophomore, GK Briana Salinas was solid in goal again for the Lady Vikings with acute awareness of her area. Improving to 6-3-0 in district play, the Vikings are on the road again on Thursday night as they take on Parish Episcopal at 5:00pm. The JV take to the field to host Westlake Academy tomorrow night at 5:30pm at Doskocil Stadium. 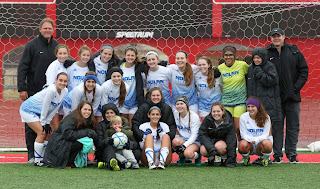 One of the best high school rivalries in the country saw Nolan Catholic face Ursuline Academy at Doskocil Stadium last Thursday night. The shorthanded, JV got the night started with a courageous, gritty performance playing to a scoreless draw against the Lady Bears. 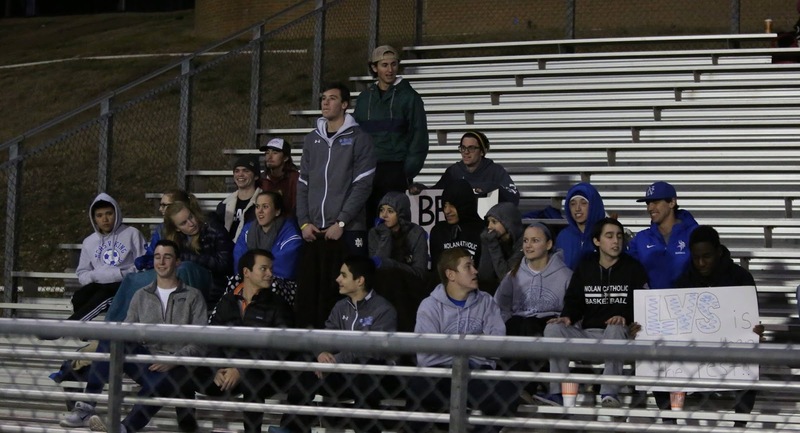 A spirited Nolan Catholic crowd witnessed end to end action during the feature match of the district. The two teams have met 15 times in the State Championship since 1990 setting the tone for the evening. 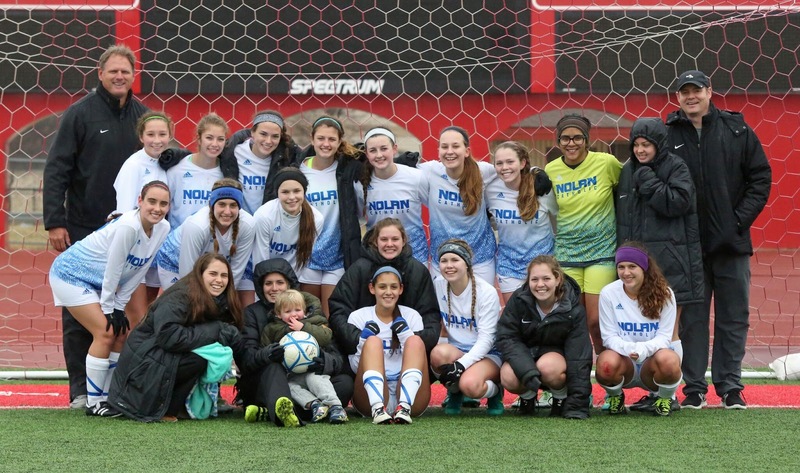 LVS head coach, Jay Fitzgerald said, "This was Nolan/Ursuline at its best. 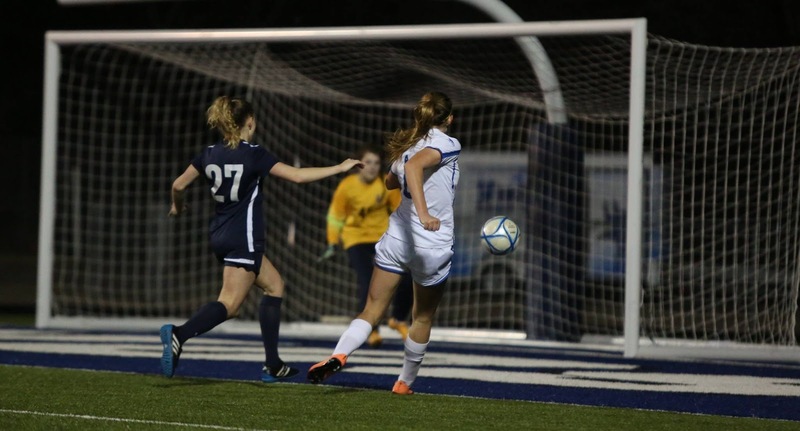 There is no better rivalry in high school girls soccer anywhere in the country." The Lady Vikings came out of the evening on the losing end but not before entertaining the fans with physical, high tempo action. The Lady Bears got on the board with 4 minutes to play in the first half and unfortunately for the Lady Vikings, again with 4 minutes to play in the second half as well. Chances didn't come easy for the Lady Vikings but the way they chipped away gave them quality attacking sequences while fighting off Ursuline in a back and forth contest. "This is what high school sports is all about. Our fans are great," Fitzgerald commented referring to the incredible atmosphere from two teams that have a storied history. The final score was 2-0 in favor of the Lady Bears dropping the Vikings to 5-3-0 in district play with a couple away matches coming up this week. The Lady Vikings travel to Liberty Christian on Monday at 6:00pm and Parish Episcopal on Thursday at 5:00pm. Both matches feature varsity games only. The JV will host Westlake Academy varsity on Tuesday night at home kicking off at 5:30pm. 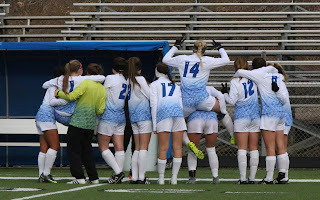 The Lady Vikings Soccer program will host Ursuline on Thursday night at Doskocil Stadium with the JV kicking off at 5pm and the varsity following at 7pm. We will continue our #lvsLIVE broadcast for the varsity match marking the only program in the area that broadcasts all their home matches LIVE compliments of @NCHSmedia. 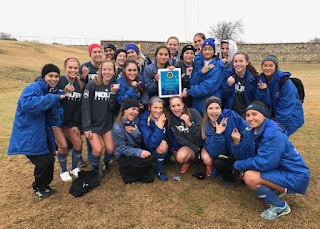 "Our soccer environment here at Nolan Catholic is one of the best from the promotion of our athletes, to pregame videos and introductions, to consistency on the field. W are proud of our support and the professional environment our student-athletes have earned," mentioned LVS head coach, Jay Fitzgerald. At the halfway mark of the season, the Lady Vikings will finish up district play, play a couple of non-district matches and get ready for the post season. Fitzgerald continued, "We have played one of the toughest schedules in the country and we know what we are capable of; it is all about us from here on out." The JV and Varsity teams are in action tonight starting with the Duncanville Kick-Off Classic where the JV will be taking on Sunset at Old Panther Stadium at 5:30pm. The varsity will then travel to Bishop Lynch for an 8:00pm Kick, the first meeting between the 2 teams this season. The Duncanville Kick-Off Classic continues tomorrow with 2 matches for the Lady Vikings who will split teams to compete against Mansfield Lake Ridge at 11:45am and Propser later on that afternoon at 3:45pm. The tournament continues into Saturday with the 3rd Place and Championship matches. Lady Vikings head coach Jay Fitzgerald mentioned, "We get to find out even more about our depth on this final week of tournament season as we use a little different mix of players for this event. We want to continue to challenge our players and get them out of their comfort zone." The Lady Vikings complete their tournament season this weekend as the second half of district season begins with the playoffs starting at the end of February. The JV team coming off an impressive tournament championship this past weekend hit the field tonight in their first district match of 2017. John Paul got on the board early in each half taking a 2-0 lead before Katherine Gilpin cut the lead in half. 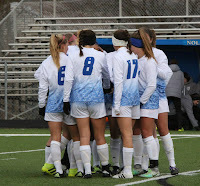 The Lady Vikings were not able to equalize and lost this one at home by a score of 2-1 to move to 4-4-2 on the season. The varsity picked up where they left off this weekend getting themselves another shutout win to improve to 5-1-0 in district play with an impressive 2-0 result over John Paul II. Katee Kimmey started the scoring in just the second minute of play off an assist from Emily Keoughan. Just 6 minutes later Keoughan takes a Hannah Allred pass and deposited it into the back of the net for a Lady Viking 2-0 lead in the first 10 minutes of the match. The game continued to go in favor of the Lady Vikings throughout the duration. Lady Vikes goalkeeper, Sarah Becan cleaned up the box well not allowing any opportunities to get behind her for her 5th shutout of the year. LVS head coach, Jay Fitzgerald was very impressed with the start and finish, "The goals we scored tonight were like clockwork; the timing, movement, and execution were flawless. We finished the game as well as we started it but their GK came up with a couple big saves." There was a bit of forced play in the first half but after the half and as the 2nd half went on, the Lady Vikings attacked in waves outshooting the Lady Cardinals 15-5 and had pretty consistent transition to finish off the game to preserve the shutout. "We came out strong and put the game away early. We had countless opportunities in both halves and finished the game strong." "I think we played well, we just needed to finish the chances given to us and link the ball through the middle more. All together it was a good win though and I'm proud of our team." "We had good movement tonight that resulted in 2 great goals." The Lady Vikings hit the road on Thursday with a varsity only match at Bishop Lynch on Thursday night at 8:00pm. Both the JV and Varsity teams will mix together to compete in the Duncanville Kick-Off Classic which begins on Thursday at 5:30pm against Sunset. 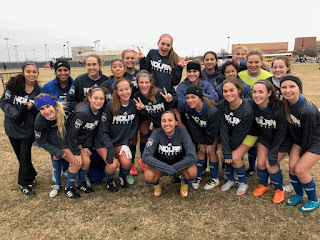 The Lady Vikings took to the field last Friday afternoon against the nations #1 team, Flower Mound Marcus in a torrential downpour in the Allison Horn Memorial. Two quality goals by the Mauraders had them a 2-0 halftime lead before trading opportunities with the Lady Vikings the entire first half. 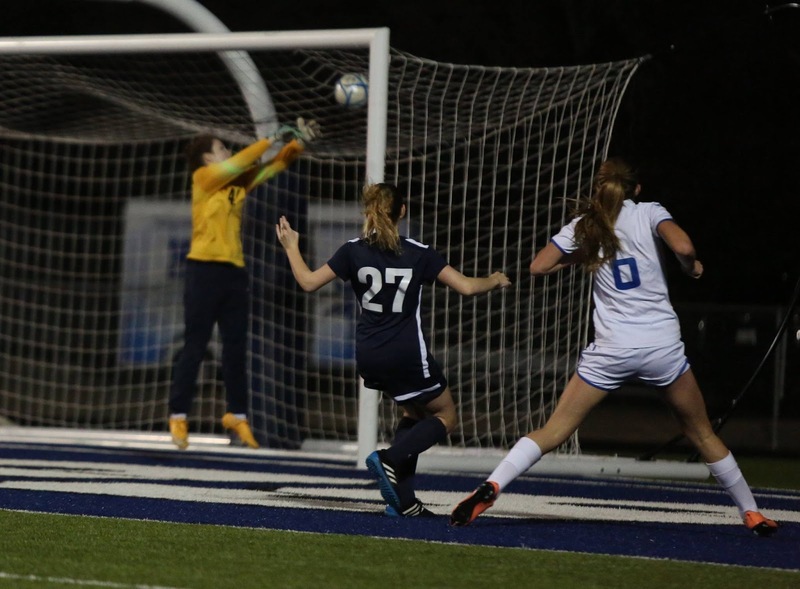 "We stayed organized for the entire game and we will look at the moments in this game that could have turned the tides, " LVS head coach, Jay Fitzgerald said. The Lady Vikings kept the pressure on the entire second half and just were not able to convert losing this one by a score of 3-0. It was a different story the next day against host, Colleyville Heritage in the showcases final day. The response was a relentless competitive spirit as the Lady Vikings took to the field on Saturday morning. Hannah Allred and Emily Keoughan combined with each other for 4 of the Lady Vikings 5 goals on the day. Junior, Emma Christiansen scored as well. "This event always gives us a sense of who we are," Fitzgerald commented. The Lady Vikings are almost halfway through their season with a 6-4-0 overall record (4-1-0 in district play). They have outscored opponents 27-9, only 10 games into the season and return home tonight against John Paul II at Doskocil Stadium. The JV kickoff at 5pm and the varsity follow at 7pm. Come on out early as the men take on TCA at 1pm and 3pm at Doskocil Stadium. Anna Keller lead the team on the score sheet scoring 5 goals leading the JV to defend their Brewer Bear Cave Classic Championship. The Lady Vikings opened the event with a 8-0 drumming of 6A powerhouse Denton Guyer and followed that up with a 5-1 win over Carter-Riverside to earn the #1 seed and a spot in the championship match against host, Brewer High School on Saturday afternoon. Keller score 2 more goals, her 4th and 5th of the tournament, in the championship match in route to a 5-0 shutout. Weslee Feemster and Sophie Bailey scored as well, each added their 2nd of the event. An own goal was credited with the Lady Vikings 5th goal. Avery Boley and Paige Ouldhouse combined for 2 shutouts and a 0.33 GAA for the tournament with 2 shutouts. Tatiano Rosario and Rachel Emrich each scored 2 goals on the weekend while, Rachel Firestone, Mea Malone, Emma Hernandez, and Sophie Cortez added goals as well. The JV team looks to defend their Brewer Bear Cave Classic title from 2015 tomorrow at 1:50pm at Brewer High School Field #4 against Brewer High School. The group defeated Carter-Riverside today by a score of 5-1 to win their bracket for a chance to play int he championship match. Goals were scored by 5 different Lady Vikings; Tatiana Rosario, Emma Hernandez, Sophie Cortez, Rachel Emrich, and Anna Keller. Rosario, Emrich, and Keller scored in the opening match of the tournament as well. Brewer also finished first in their bracket with a pair of shutout wins. The JV team will look to defend the title they won two years ago at the Brewer Bear Cave Classic as they start play today against Denton Guyer at 11:10am on Field #4 at Brewer High School. The event continues the next morning with their second match at 8:30am against Carter Riverside. The varsity will be competing in the Allison Horn Memorial Showcase hosted by Colleyville Heritage. This is an event that LVS has competed in since its inception in 2004. The showcase is in honor of Allison Horn who played for Colleyville Heritage. She was a freshman soccer star at Texas Tech when her vehicle was struck by a drunk driver in Colleyville in the spring of her freshman year when she was home for break. 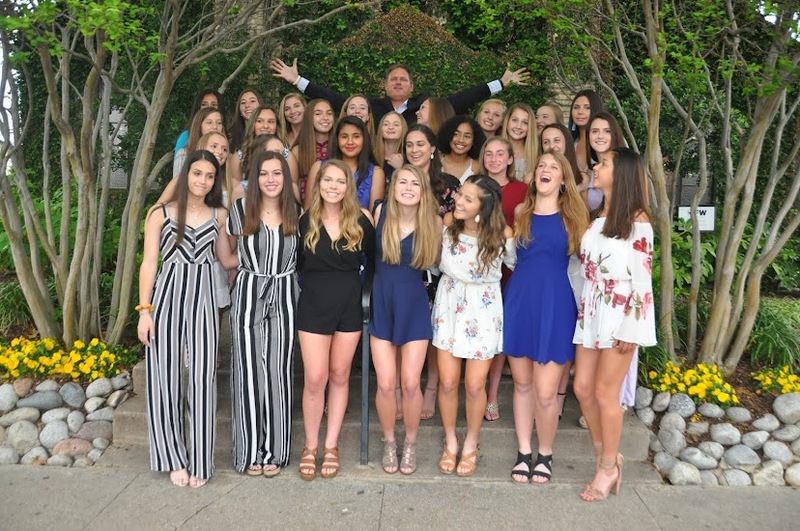 Allison played for LVS head coach, Jay Fitzgerald in club for the Texas Image Soccer Club. Fitzgerald said, "This is always an event that means a lot to me and our program. None of us can take anything for granted. We need to appreciate the time we have together and make the most of each and every day. Allison was an amazing teammate, competition, and just an overall good kid." The Lady Vikings open with Allen High School this afternoon at 4:00pm at Colleyville Heritage. The event continues Friday with FM Marcus and Saturday with Colleyville Heritage. The final will be played on Saturday evening. After a long weekend of planning, hosting, and showcasing the top showcase in the country all last week, the Lady Vikings take to the field again tonight as they host Prestonwood Christian. The match will be broadcast LIVE on #lvsLIVE @NCHSmedia via YouTube. The Lady Vikings are coming off a huge win in the National Elite Prep Showcase over California Grace Brethren. Excited to get district play started again TONIGHT, the Lady Vikings are also preparing for the Allison Horn Memorial Showcase starting on Thursday against Allen High School. LVS head coach, Jay Fitzgerald said, "I like were we are right now as a team. We were great going into the break, not so great coming out of the break, and now we are better then ever." Friday's result over Grace Brethren was the best Fitzgerald has seen any of his teams play since they defeated Southlake Carroll in 2010. Fitzgerald continued, "I am not surprised of our performance but, WOW, we were good in all aspects of the game against a quality California side." With an overall record of 5-2-0 and a #34 National ranking, the Lady Vikings play their first district opponent of 2017 tonight. Kick-off is set for 6:30pm at Doskocil Stadium. Come on out and support you Lady Vikings. 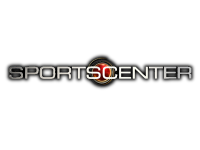 Nolan‎ Catholic (Texas) vs. Vandegrift, 4 p.m.
Ursuline Academy (Texas) vs. Carondelet (Calif.), 5:30 p.m.
Nolan Catholic (Texas) vs. Brentwood Liberty (Calif.), 4 p.m.
Sierra Canyon (Calif.) vs. Round Rock (Texas), 6 p.m.
Santa Margarita (Calif.) vs. Vandegrift (Texas), 8 p.m.
Plano West (Texas) vs. SA Central (Texas), 10 a.m. The varsity is hosting the nations top women's high school showcase, the National Elite Prep Showcase while the JV travel to Grapevine to play in the GCISD Invitational. Both teams start tomorrow. The JV kick off at 12:30pm tomorrow at Cross Timbers MS Stadium against Southlake Carroll. Players will be dismissed after Mass and bus will leave at 11:00am SHARP from Nolan. 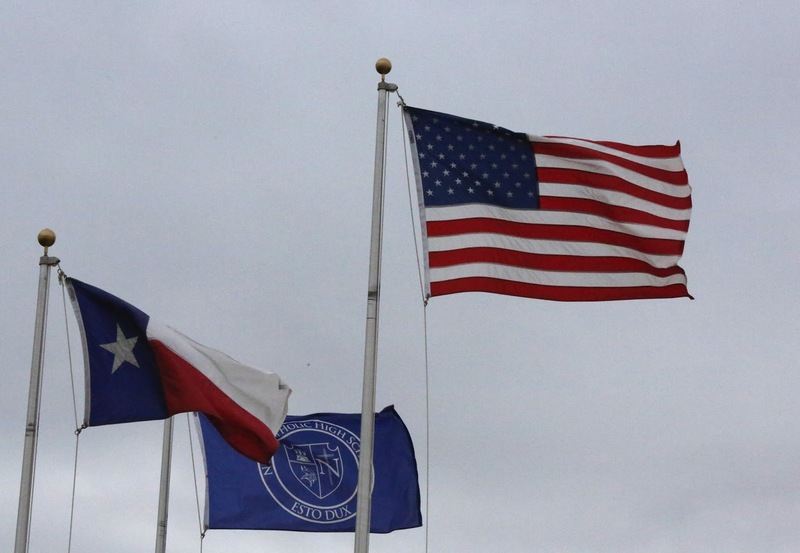 The varsity will host Vandegrift kicking off an hour earlier at 4pm at Doskocil Stadium. The players will be dismissed at 2:00pm. For more information on the National Elite Prep Showcase CLICK HERE. 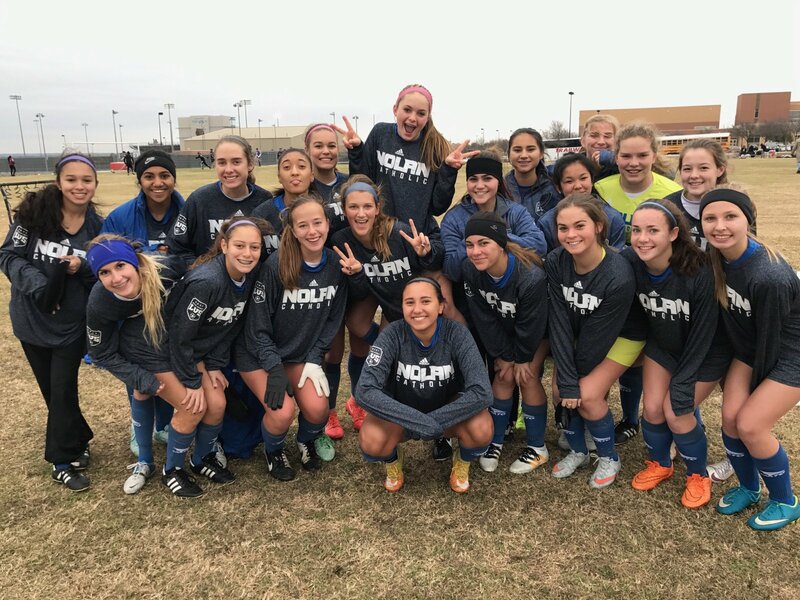 The Nolan Catholic Women's Soccer team will host the 15th Annual National Elite Prep Showcase this Thursday through Saturday. Fore more details visit the showcase website by clicking on www.nationaleliteprepshowcase.blogspot.com. The JV and Varsity teams head out on the road tonight for double-header friendlies at FM Marcus in preparation for the showcases starting on Thursday. Both teams are currently 5 games into their season with the JV at 1-2-2 while the varsity sits at 4-1-0 gaining a #33 ranking in the national poll. Tonight is a good test for both teams coming out of the Christmas break taking on the nation's #1 program. The Lady Vikings will catch Marcus in a later fixture in the Allison Horn Memorial Showcase on January 13th. 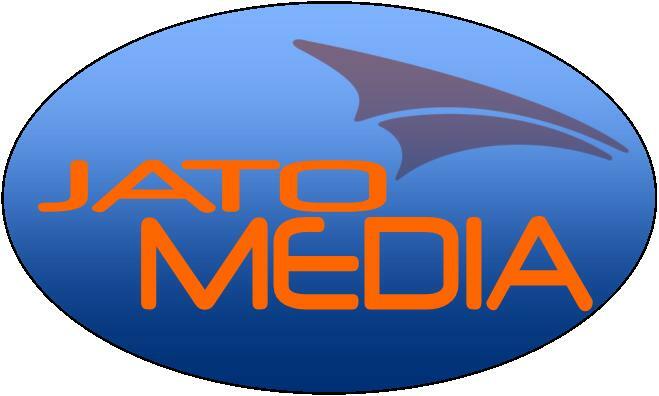 "We don't shy away from competition. We want our players to be challenged on a daily basis and our schedule is always one of the best in the country," commented LVS head coach, Jay Fitzgerald. The JV team will compete in the GCISD JV Invitational starting on Thursday taking on Southlake Carroll, Flower Mound, and Keller. This is the first of 3 tournaments they will compete in during the month of January. The National Elite Prep Showcase is one of the nation's premier showcases for high school girls soccer. It is where the best come to play from all over the country. This event is in its 15 year and hosted by Nolan Catholic starting on Thursday as well. The Lady Vikings kick off that event with former UIL 4A State Champion, Vandegrift from Austin. They also will match up against Top 10, Libery High School out of Brentwood, California but earlier in the day on Friday they see a new team to NEPS, Grace Brethren from Simi Valley, CA. Fitzgerald mentioned, "I think we are the only team, outside teams actually in California, that will have played 5 teams from the state of California this season." January is always a busy month for high school soccer with showcases and tournaments each week mixed in with district play. The weather is always an adventure as well. The Lady Vikings look forward to 2017 and tonight it all gets started with the JV kicking off at 6:00pm and the varsity following at 7:45pm. Both matches will be played at Marcus High School in Flower Mound.